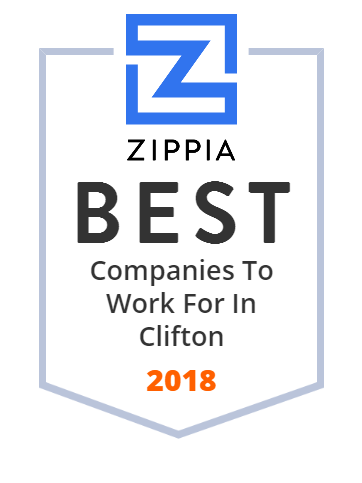 We hand-curated a list of the best companies to work for headquartered in and around Clifton, NJ using data on salaries, company financial health, and employee diversity. SST Corporation offers a wide range of Active Pharmaceutical Ingredients and Chemical Synthesis capabilities. Crown roll leaf is a family run business. They are a vertically integrated manufacturer of traditional and holographic. Hot stamping foils and laminates for commercial and security applications. Their innovations and capabilities enable them to provide world class service to the industry. They take pride in delivering the highest quality products. The district is classified by the New Jersey Department of Education as being in District Factor Group "CD", the sixth-highest of eight groupings. Clifton is a city in Passaic County, New Jersey, United States. International Delights began in 1986 as a small Greenwich Village pastry shop just two brothers with a passion for pastry, two ovens and 2,000 square feet. From those modest roots, they have grown into the leading source of baked goods for the New York area, with more than 230 employees, a 180,000 square foot, state-of-the art facility, and an uncompromising mission. Comus International started out as a manufacturer of glass mercury tilt-switches for residential and commercial thermostats. Immediate success and rapid growth led to new product development and soon the metal mercury switch and, ultimately, the patented non-mercury switch were designed and offered to the market. Jacobs Enterprises, Inc. is a development, consulting, management, and brokerage company focused on the retail and multi-family residential sectors. They specialize in mixed-use development and complex redevelopment situations that encompass many other real estate sectors, including industrial, office and hotel as well as retail and residential facilities. They are a casual American steakhouse offering exceptional value; fine quality, great service and a very reasonable pricing, for the entire family. Their specialty steaks are hand cut from the finest grain fed beef and broiled to perfection. Main dishes include a choice of baked potato or steak fries. They also provide exceptional 1/2 pound burgers and a variety of sandwiches.